Let us arrange a smile for your Parents! 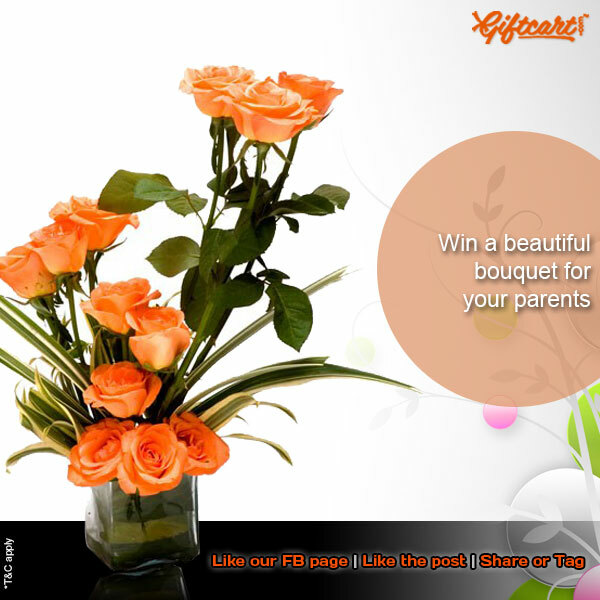 Enter our contest and you could WIN a beautiful bouquet, just in time for Parents’ Day. – One random winner will be chosen from the top 25 people with maximum shares. Winner announcement on Saturday July 27, 2013.